1. 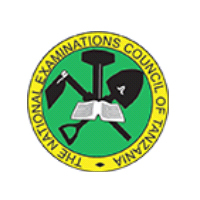 The Government of Tanzania has set aside funds for the operations of the National Examinations Council of Tanzania (NECTA) during the financial year 2017/2018. It is intended that part of the proceeds of the fund will be used to cover eligible payment under the contract for the Supply and Installation of Heavy Duty Platform weighbridge Scale. 2. The National Examinations Council of Tanzania now invites sealed quotation from eligible Suppliers of Heavy Duty Platform weighbridge Scale. 3. Interested eligible Bidders may obtain further information from and inspect the quotation Documents at the office of the Secretary Tender Board, National Examinations Council of Tanzania, PMU Offices – Stores Building P.O.Box 2624 Dar es Salaam from 08.30 hrs to 16.30hrs on Mondays to Fridays inclusive except on public holidays. 4. A complete set of quotation Document(s) in English and additional sets may be purchased by interested Bidders on the submission of a written application to the address given in paragraph 3 above and upon payment of a non-refundable fee of Tanzanian Shillings Fifty Thousand only ((Tshs. 50,000.00) only. Payment should be made to the National Examinations Council of Tanzania through Account No:211100238 NMB Bank House: 11103001074 NBC Corporate Branch and Account No: 01J1013540000 CRDB Kijitonyama Branch. 5. All Bids must be accompanied by Bid Securing Declaration. 6. All bids in one original plus two copies properly filled in, and enclosed in plain sealed envelopes clearly marked ‘tender number ……….’must be delivered to the secretary of Tender Board, National Examinations Council of Tanzania Monday at or before 12.30hrs, 18th December,2017. 7. All bids will be opened in public immediately after deadline for submission in the presence of bidder’srepresentative who choose to attend in the opening ceremony at PMU Hall – Stores Building, National Examinations Council of Tanzania New Bagamoyo Road –Adjacent to TBC. 8. Late Bids, Portion of Bids, Electronic Bids, Bids not received, Bids not opened and not read out in public at the bid opening ceremony shall not be accepted for evaluation irrespective of the circumstances.